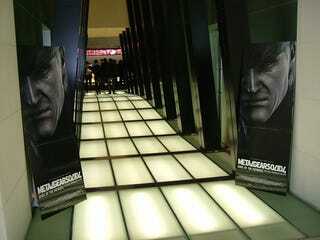 Hollywood has great respect for Mr. Kojima. They want to meet with him. Kojima will be acting as a producer, but we don't know how involved he'll be as a producer. Often Hollywood adaptations have the original game creator involved at the beginning, but somewhere along the line they fall out of view. This is why it's very important for us to carefully pick the studio for this project. Kojima is a great cineaste, and Konami does seem serious about bringing his vision to the screen. Regarding to potential directors, Saito says, "Paul Thomas Anderson is interested."